Artists as Activists. ISBN 978-0-9899145-0-5. Contact Saad Ghosn at SOS Art Cincinnati for more information. 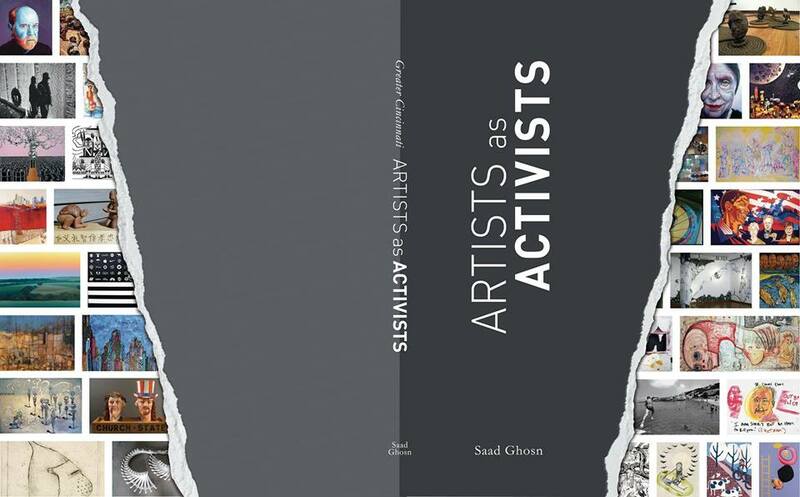 Artists as Activists is a book copyright 2015 featuring 50 local artists who use their work for a change and for a better world. It also includes portrait photographs of the Artists by renowned photographer Michael WILSON. The book’s high quality and inspiring content are a tribute to the strong voice of the artists featured and to all the good work they do through their art. It is an asset to our community.